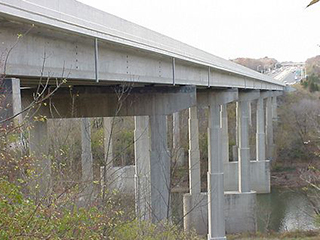 One of the largest and most complex jobs sold under ODOT’s new Design-Build Program, Project 3012-00 involved the third-lane widening of Interstate 275 through portions of Hamilton and Clermont Counties. 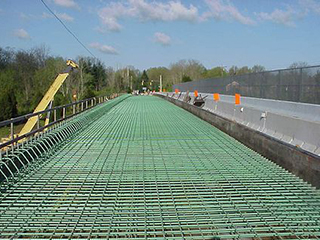 As a subcontractor to the John R. Jurgensen Company, the C. J. Mahan Construction Company was responsible for the design and construction for the proposed rehabilitation of three main-line bridges and seven overpass structures within the Project Limits. 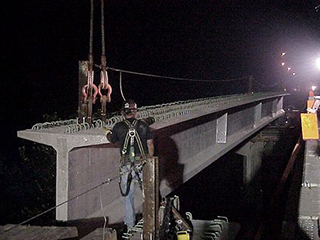 By far, the most challenging bridge on the job was the twin mainline structure carrying I-275 over the Little Miami River, which was to receive an entirely new superstructure, but retain the existing piers. 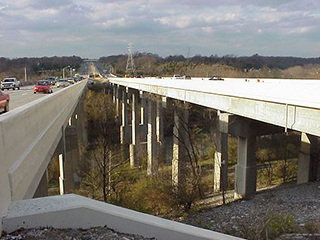 The new superstructure was designed using precast modified AASHTO Type IV girders, spanning up to 140′-0” and weighing as much as 69 tons each. 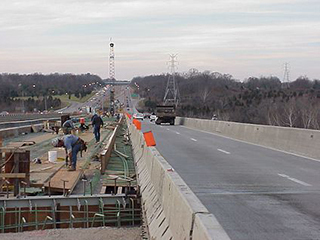 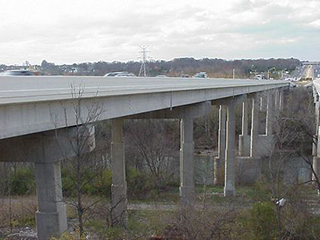 This project was recognized with the 2002 Ohio Contractor’s Association “Move Ohio” Award.